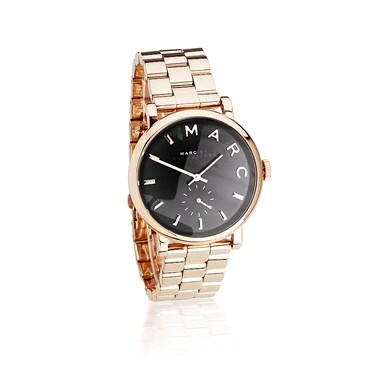 Stand out from the crowd with this Marc by Marc Jacobs Rose Gold Black Dial Baker Watch, the ultimate statement watch which blends dark tones with trendy rose gold. 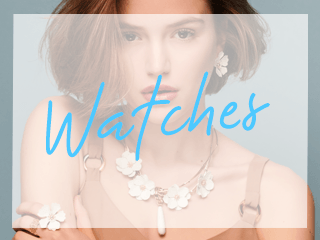 This modern timepiece features a luxurious rose gold bracelet strap with matching 36mm case, this warm colour is beautifully contrasted with a deep dark black dial which allow the rose gold baton markers to stand out providing the ultimate eye catching look. Part of the iconic Baker collection this watch is recognised by the branded inner dial with the word MARC replacing the hour baton marker from 12 oclock to 3 oclock.